MIR-RT helps organizations schedule and manage every preventive maintenance task for vehicles in users fleet. Capture, share and analyze all data from one centralized system. Comprehensive reporting gives users the power to make immediate, strategic, proactive decisions based on accurate, real time information. 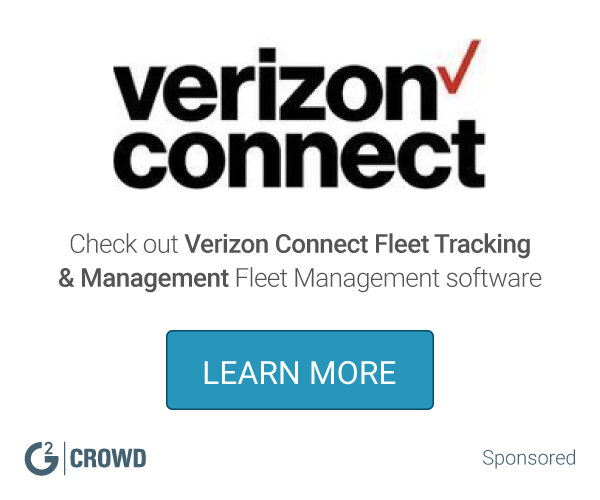 What Fleet Management solution do you use? GPS Insight offers a vehicle and asset tracking solution that provides features and tools like email and text alerts, reporting functions, and more to help you manage your business. Fleetio is a modern fleet management software solution that gives you visibility into fleet operations, helping control the chaos of fleet management. LoadMaster is an integrated trucking dispatch management system with integrated accounting software designed for the transportation business in one package that provides features and tools to help you manage your business. Geotab is a global leader in telematics, providing open platform fleet management solutions to businesses of all sizes. Geotab's intuitive, full-featured solutions help businesses better manage their drivers and vehicles by extracting accurate and actionable intelligence from real-time and historical trips data. Onfleet makes it easy for businesses to manage and analyze their delivery operations. Onfleet includes a clean web dashboard, rich APIs, out-of-the-box driver apps for iOS and Android, and customer notifications, accurate ETAs and a map that lets recipients track their orders in realtime. Dr Dispatch is a trucking management software solution that helps you monitor cash flow, growth, dispatching, equipment, scheduling, sourcing, and more. GPSWOX allows you to track and manage unlimited number of objects in real time, get specific notifications, generate reports and much more. GPSWOX software is compatible with almost any GPS tracking device. The full product suite is comprised of FuelFocus fuel management system, KeyValet automated motor pool solution, GPS powered by Networkfleet, and the Field Service Solution mobile workforce management system. * We monitor all MIR-RT reviews to prevent fraudulent reviews and keep review quality high. We do not post reviews by company employees or direct competitors. Validated reviews require the user to submit a screenshot of the product containing their user ID, in order to verify a user is an actual user of the product. Hi there! Are you looking to implement a solution like MIR-RT?